Just on the Indiana side of the Ohio River across from Louisville, Kentucky, New Albany is a historic town that was settled by the Scribner Brothers from New York in 1813. The town flourished with its river location and became a ship building king. With this history, the name River City Winery makes sense for a very cool stop we made the night before New Year’s Eve. Heading to a flea market in Louisville, we stayed in New Albany after discovering this lovely town last February. Our plans had been to try their famous pizza, but we changed our minds when we saw the crabmeat and mushroom stuffed ravioli, we had to have it. Add in a salad and a great bottle of sweet white Lazy River White Wine and we were left with a mouth watering combination. The owners of the River City Winery are Gary and Melissa Humphrey. The two located their River Winery and eatery in the historic Baer Building. They opened in May of 2009 in the neoclassical style building built in 1900. The site first served as John Baer’s Dry Goods & Department Store. 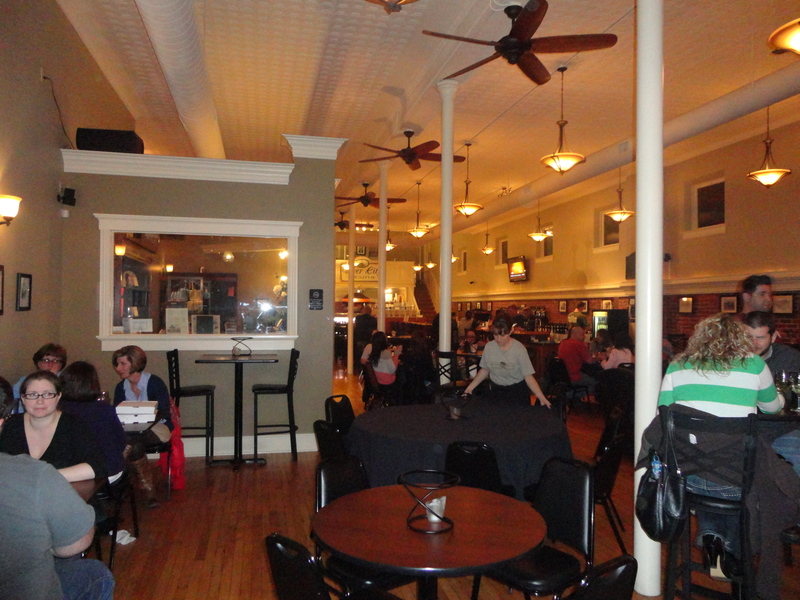 The building although renovated still reflects hardwood floors a long bar lined in brick and lovely tall ceilings. River City offers both red and white selections of wines with a list of sweet fruit wines that include Elderberry, Tripple Berry Cyclone and Strawberry Cyclone. Seasonally they offer a deep apple spiced white and red wine. River Winery is closed on Monday but open Tuesday through Sunday at 11:00am. Located at 321 Pearl Street, New Albany, Indiana, call1 812-945-9463 for details. New Albany’s downtown has undergone extensive renovation and offers a lot of fun stops in their historic area making this a nice place to stay and linger. More information about New Albany and the things to do in this cool city can be found at their website, http://www.cityofnewalbany.com. Next Post: John Deere Pavilion – What’s New?